Lajta Vetőmag Kft. 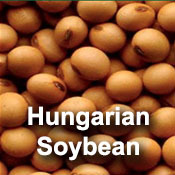 was founded in 1991 in Hungarian ownership, as an upshot of the political transition; at first the company subcontracted some of the work to nearby seed producer companies and in 1994 the company built its own seed manufactory. The company purchased German and Danish machinery and started processing in 1996, the company also had a base laboratory for plant breeding and significant warehouse capacity. In 2006 the whole ownership of the company was transferred to our father, Gábor Seiwerth. As a professionally dedicated owner, he built new warehouses, significantly improved the grain cleaner capacity, and replaced the old drying facility with a new, high-performance grain-dryer. He also improved the machinery system of seed purification: gravity table, spiral seed cleaner and – in the last stage of the investment - a high performance (3-8 tons per hour depending on the type of crop) photoelectric sorting apparatus were installed. Due to the constant development our group has a particularly modern and high technological level seed manufactory. As the heirs of our father and grandfather we continue and run this fully Hungarian-owned third-generation family-owned company. The seed manufactory in Mosonudvar has more than 10000 square metre horizontal storage area. Many people do not know that there is a unique warehouse management system in the seed manufactory and its warehouses. The RFID – i.e. Radio Frequency IDentification system – enables the record of the location and the quality parameters of stocks held at a specific time and also the extremely accurate record of every item. While producing our own seeds our guiding principles are quality and accuracy; accordingly we try to meet the needs of our partners in any case! Lajtamag group has sites in Hédervár and Püski besides Mosonudvar. Basic material production, storage and pre-cleaning take place in the two bases in Szigetköz. The continuous expansion of the cultivation activities led to a bottle-neck in the cleaning and storage capacity. 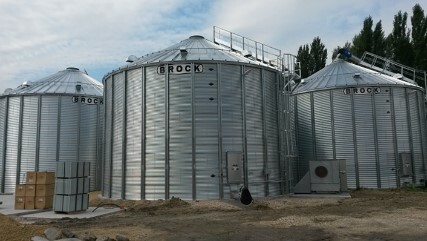 Eight storing-conditioning silos - suitable for storage of special seeds - were installed, and a grain dryer and cleaner unit with 25 tons per hour performance was built. 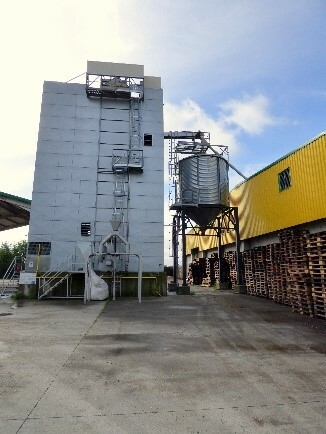 The silos provide a specific solution for special and gentle drying and storage of seeds. The group uses 2000 hectares of own and leased land that is the basis of seed production. The latest tractors and machinery work on the fields. 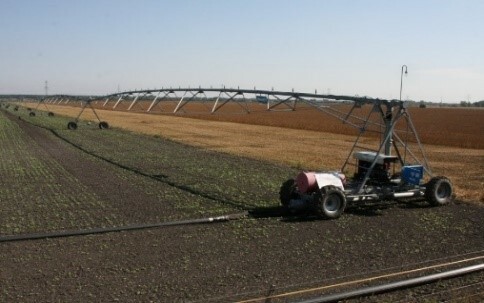 A significant part of the farmland – about 500 hectares – can be irrigated. Of course this plot size cannot satisfy Lajtamag group partners’ demand for seed, that is why we pursue targeted seed cultivation on 8000-10000 hectares every year. 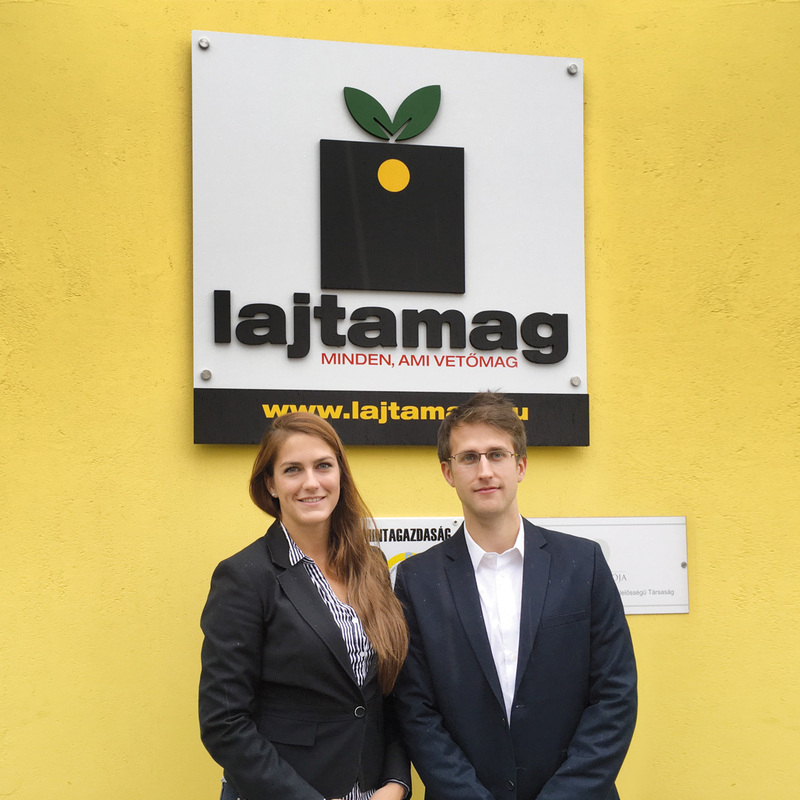 The number of farmers working for Lajtamag group is more than 400 per year. In the portfolio of targeted seed cultivation there are mostly small seeds, different vetches, crimson clover, red clover, fodder radish, mustard, bluebell, and soy is also grown on a large area. In addition to the agricultural production, cultivation and seed production the group also has significant results on the field of R+D. There were research programs running related to durum wheat and soy, their aim was the development of domestic advanced production technology. Lajtamag Kft. has its own bred, recognised soil reclamation plant varieties as a result of its R+D activities, the group has the variety rights of Anna fodder radish, Marci and Éva mustard and Liza bluebell. The number of staff exceeded one hundred in 2016, and the company’s turnover reached 4.8 billion HUF. More than 40% of the produced seeds are sold on the market of the European Union, the remaining 60% is sold on domestic market through trading partners and our own distribution network. The philosophy of the group remained the same despite all the changes : LAJTAMAG = Everything that is seed! Therefore we handle a full repertoire of seeds. Address: 9246 Mosonudvar, Bereki u.1. We use HTTP cookies for better functioning.